Motor Mount: 24 mm and 18 mm. This sport-scale model of the Super Chief II also has two stages. It stages a E or D motor to a B or C motor. 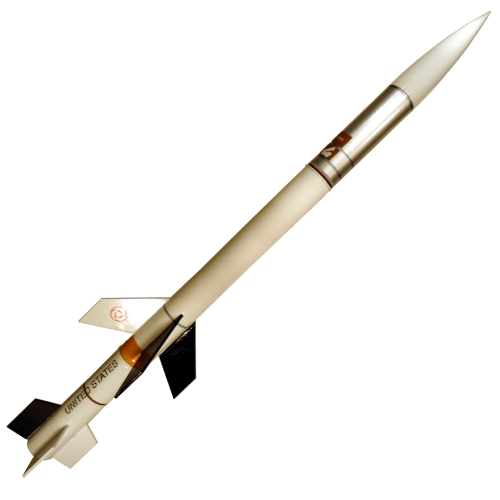 The model rocket kit includes wrap-around bands, hatches, and decals to give it the right level of detail. Buy and build the Super Chief II for NAR sport-scale competition, or for super fun, two-stage, flights. Simply enter your details below and we will send you an e-mail when “Super Chief 2 Two-Stage Rocket” is back in stock!